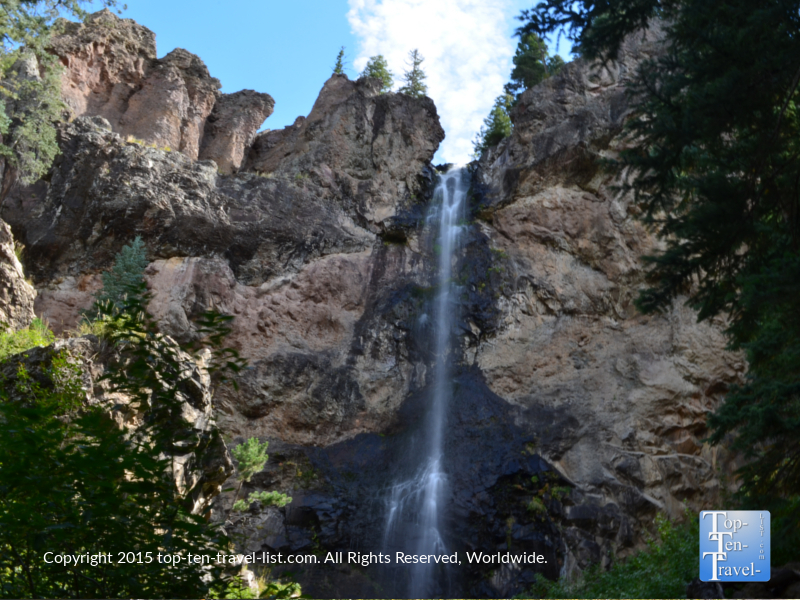 Exploring the Beautiful San Juan National Forest: Treasure Falls in Pagosa Springs, Colorado - Top Ten Travel Blog | Our experiences traveling throughout the US. 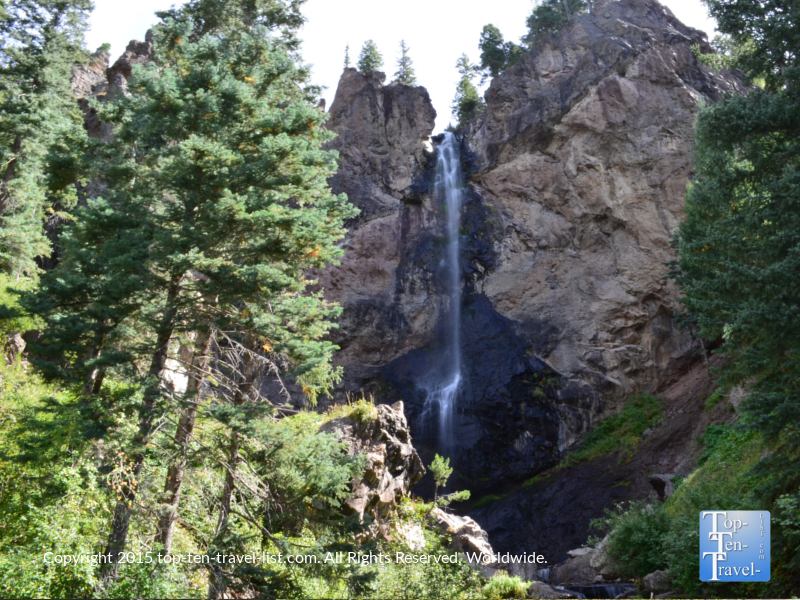 Surrounded by over 3 million acres of gorgeous wilderness, it is no surprise that Pagosa Springs is home to some of the best hiking trails in Colorado. 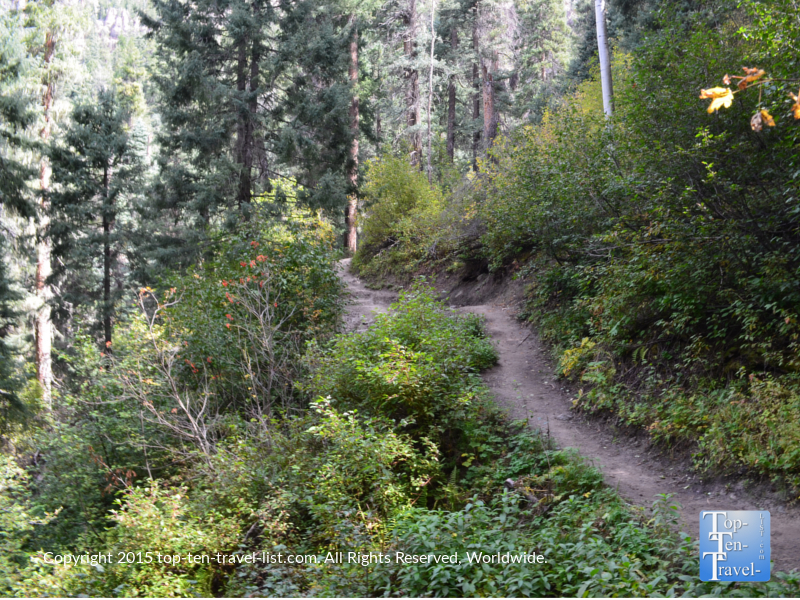 With a seemingly endless supply of trails nearby, there are more than enough options to choose from on your visit, regardless of your fitness level and/or preferred scenery. 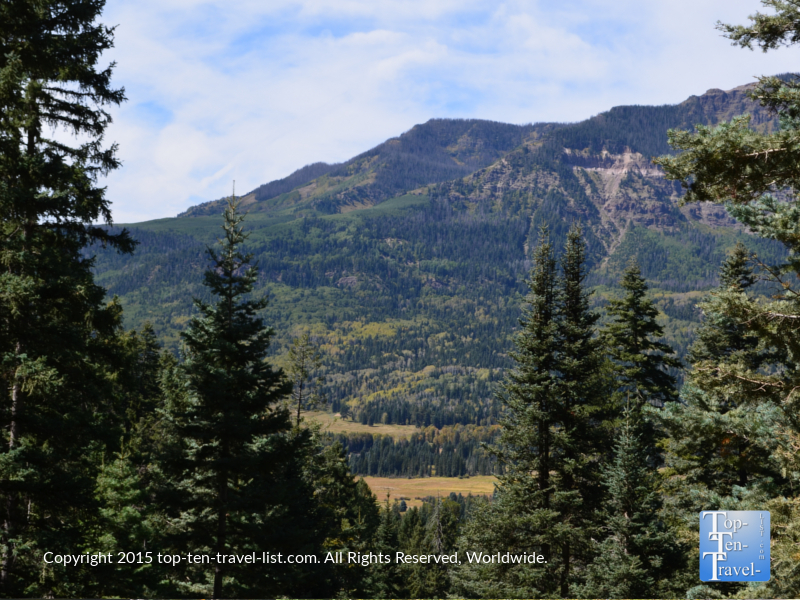 Wildlife watching, beautiful waterfalls, picturesque lakes, streams, and creeks, colorful fall foliage, and the amazing San Juan mountains are just some of the things you can look forward to on a Pagosa Springs vacation. Although there are hundreds of miles of hiking trails to choose amongst, varying in terrain and difficulty level, Treasure Falls is a must see for everyone visiting the region. The short (yet slightly steep) 1/2 mile climb takes you up to an amazing 105 foot tall waterfall: one of the prettiest in the state! 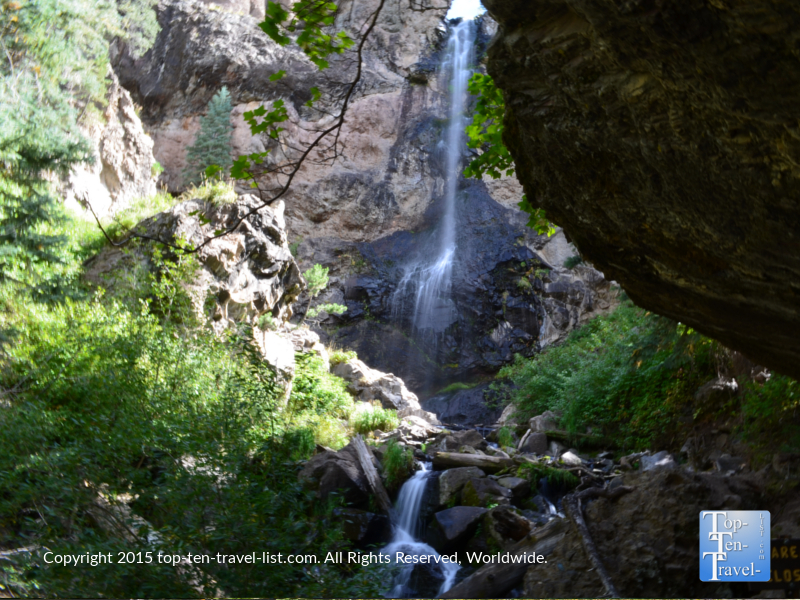 The Treasure Falls hike is a great option for almost any visitor in basic shape due to the short distance, relatively easy nature, and short time commitment involved. 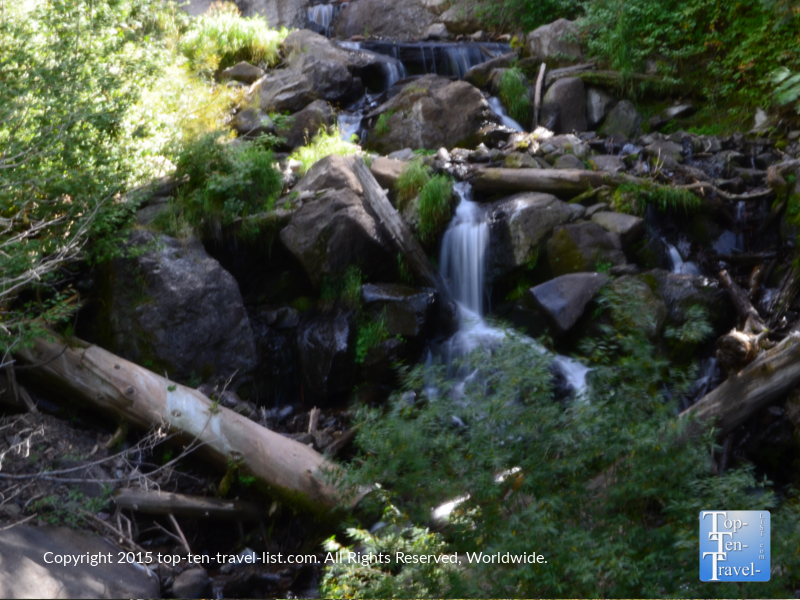 This hike can easily be incorporated into any visit and will not take up all your time and energy like some of the longer waterfall hikes in the area. The Treasure Falls name comes from a local legend consisting of a chest buried with gold somewhere on Treasure Mountain. Supposedly, the French buried their gold here when escaping from the Native Americans. The trail is a bit steep and can be a bit slippery going downhill, so wear sturdy shoes and take your time. It is mostly shady and lined with beautiful pines, spruce, and Aspen trees. If you are lucky enough to visit during the fall season, you may get to see some beautiful yellow Aspens. At several points along the way, you will be treated to some spectacular views of the mountains. 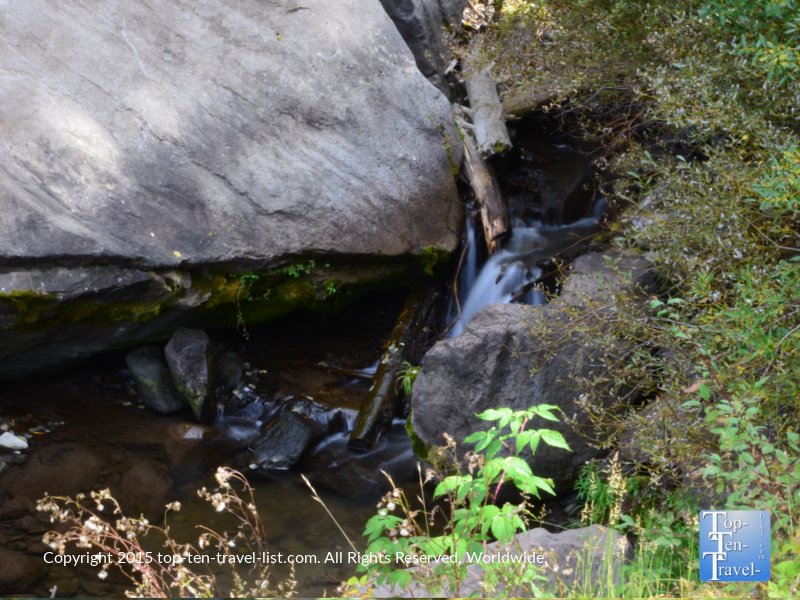 Beautiful nature, creeks, and a few smaller waterfalls will keep you interested until you reach Treasure Falls. In addition, there is a nice bridge about 1/2 way through the hike, at the base of the falls, which is a great spot for photography. Be sure to ring you camera – there are several great photo opportunities here and elsewhere along the trail. 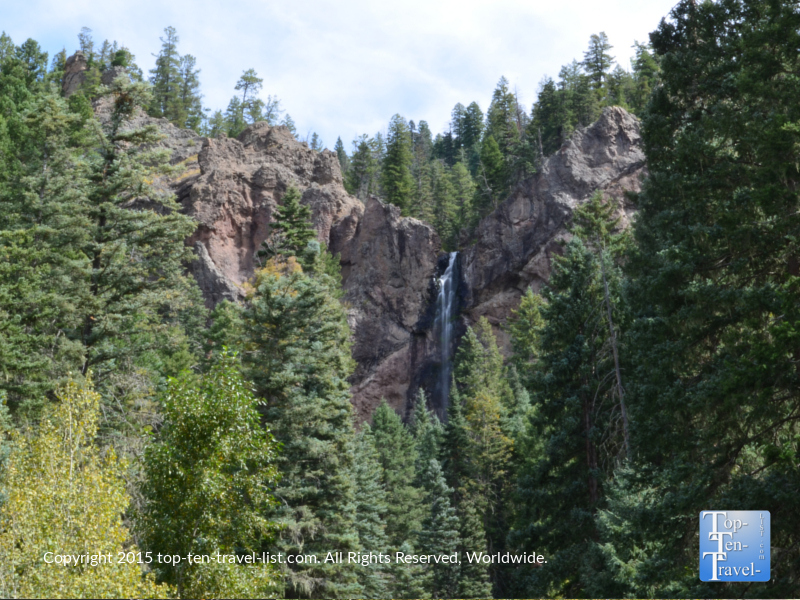 If you are not up for a hike, you can still view the falls from the parking area. While you will not be able to see the falls in their entirety, the beautiful forested surroundings make for a pretty great view. If time and fitness levels permit, I recommend taking the short hike up to the waterfall. The falls are much more beautiful and powerful when viewed at a closer distance. Plus, the relaxing walk through nature, with no traffic noise, distractions, or technology, is a treat in itself. *Be aware that most hikes in the area start an elevation of around 8000, with some as high as 12000! Be sure you are in great shape before attempting any of the longer hikes in the area as exercising at high altitude is much more demanding on your body. You really need to be in peak physical condition to do lengthy and/or strenuous trails. Even with a short trail like Treasure Falls, you must take caution as you will tire more easily than normal and be more prone to dehydration. Take it easy, drink plenty of water, carry a snack, eat a good meal after your hike, and take a good rest afterwards. *Plan your hike at sunrise or sunset. This is the only time the strong afternoon sun will not ruin your photos. It is much too bright to get a good view or photo during the day. *Wear good hiking shoes. The loose gravel can make going downhill a bit slippery at several points on your return journey. Also carry hiking stick for extra balance. 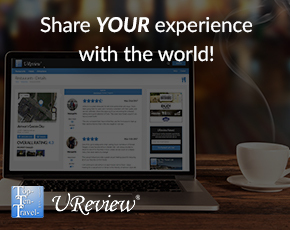 *Bring a quality camera. There are plenty of excellent photos to take of the mountains, waterfall, and forests. Taking your picture with the falls in the background is the perfect free souvenir to remember your trip! *Carry a water bottle. You should always carry plenty of water while hiking, even more so in a dry, high altitude climate where your chances of getting dehydrated greatly increase. 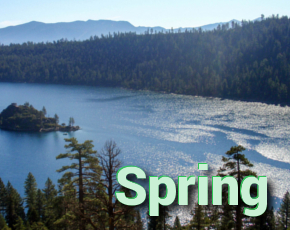 *Plan a soak at The Springs Resort after your hike. Pagosa is home to the largest hot springs in the world, with over 23 mineral pools of varying temperatures from low as low as 91 to a steaming 114 degrees! These healing natural mineral enriched waters are said to cure various ailments. 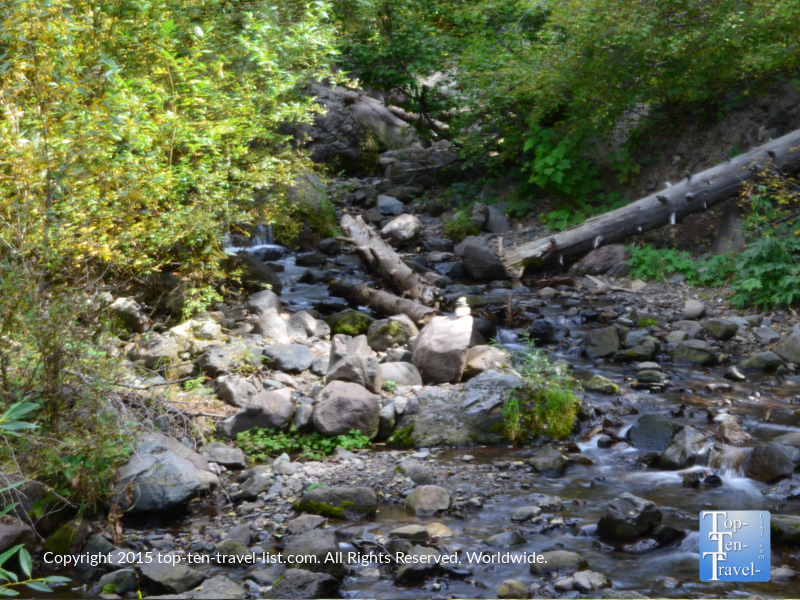 One thing is for sure: the water sure is very soothing for sore muscles and joints after any hike! Your tired body will thank you! 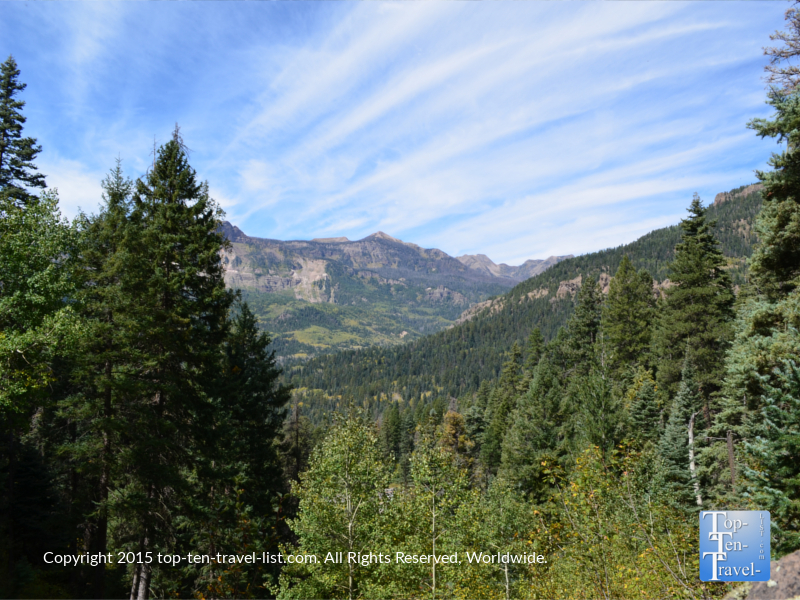 Drive 14 miles Northeast on US 160 until you get to the base of Wolf’s Creek Pass. A parking lot will be located on the right. There is no fee to park.